Yesterday the Japanese Finance Minister, Taro Aso, mentioned the strong JPY which may affect the currency market. Today FOMC Statement will influence this pair as well. 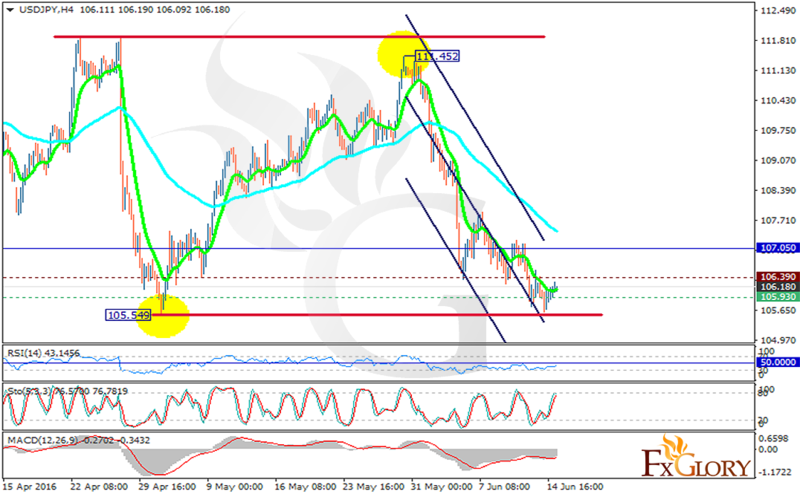 After the previous low at 105.60 yesterday, USDJPY has been moving with bullish bias. The support rests at 105.93 with resistance at 106.39 which both lines are below the weekly pivot point at 107.05. The EMA of 10 is tuning into a rising trend after its sharp fall and the EMA of 75 is falling down and it is located above the EMA of 10. The MACD indicator is in negative territory and the RSI is below the 50 level; however the Stochastic is showing upward momentum. There are no enough signals for traders to decide what to do so it is better to wait for a better chart setup.